Seagate and Lacie announced an exclusive agreement with the intent for Seagate to acquire a controlling interest in LaCie. 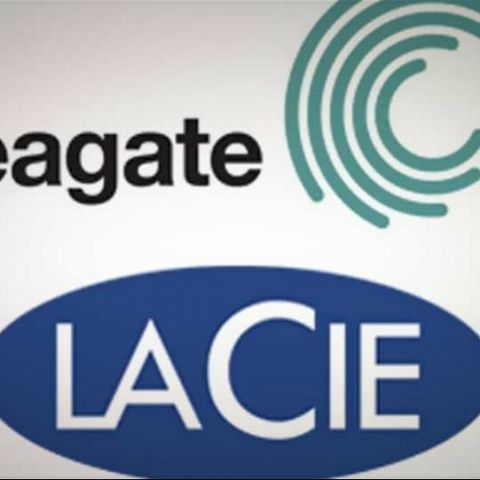 Seagate has offered to purchase from Philippe Spruch, LaCie’s chairman and CEO, and his affiliate, all of their shares, representing 64.5% of the outstanding shares of LaCie. Following governmental approvals and the close of this transaction, Seagate would commence an all-cash simplified tender offer (followed as the case may be by a squeeze-out procedure) to acquire the remaining outstanding shares in accordance with the General Regulation of the French Autorité des Marchés Financiers (AMF). Seagate has offered Mr. Spruch and his affiliate €4.05 per share in cash, minus a potential adjustment depending on the cash and debt position of LaCie at closing. This price may be increased by a possible price supplement of 3% in the event that the threshold of 95% of the shares and voting rights of LaCie would be reached by Sparrow within 6 months following closing, resulting in a maximum potential price per LaCie share of €4.17. Without the price supplement, the offer currently values LaCie at an approximate €146 million, or $186 million total equity value, including acquired net cash of approximately €49 million, or $65 million, as of March 31, 2012. The €4.05 per share price represents a premium of 29% to LaCie’s average closing stock price over the 30 trading days ended May 22, 2012. The transaction would combine two complementary product and technology portfolios, adding LaCie’s line of premium branded consumer storage solutions, network-attached storage solutions and software offerings to Seagate’s array of mainstream consumer storage products. The combination would accelerate Seagate’s growth strategy in the expanding consumer storage market, particularly in Europe and Japan, and add strong engineering and software development capabilities, as well as relationships with several key retailers. The transaction is expected to be neutral to Seagate’s fiscal 2013 earnings per share. Following the close of the sale of his shares to Seagate, Mr. Spruch would join Seagate and lead the company’s consumer storage products organization. Reporting to him would be Patrick Connolly, who currently serves as vice president and general manager of Seagate’s retail group, as well as Pierre van der Elst, who currently serves as deputy general manager of LaCie. The financial terms of the new position of Mr Spruch are not determined as of today and would therefore be described subsequently, including in the tender offer documentation.